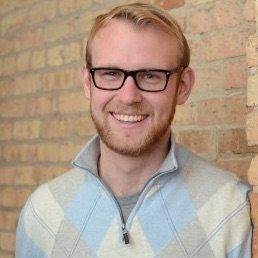 From launching my fledgling company with a fulfillment center to managing a growing $1M/year fulfillment operation in-house, I’ve personally run the spectrum of small ecommerce fulfillment solutions. I know firsthand the many challenges (and sleepless nights) that small ecommerce business owners face. And I know that order fulfillment and all that it entails, shown below, often tops that list. Order fulfillment is a bit of work, to say the least. You can handle your fulfillment needs yourself, or you have plenty of fulfillment outsourcing options too. But which is best for your unique needs? The answer to that question generally comes down to the three primary factors that come into play when deciding between in-house or outsourced fulfillment. After a quick look at each factor, I’ll walk you through a real world example in below. If you’re considering outsourcing to a fulfillment center, we highly recommend ShipBob. Click here to speak to a specialist and get $100 off. The cost of getting each and every order out the door is your fulfillment cost-per-order. This is the best cost to use when comparing in-house and outsourced fulfillment options. The four expenses that make up this cost are: facility or storage space, labor costs, packing materials, and shipping costs. 1. Is this fulfillment center a good fit for your business? 2. What are the cost savings or other benefits if you outsource fulfillment? Sometimes the cost-to-benefit comparison can leave you straddling the fence. When that happens, a closer look at five key factors can help determine which is best for you. These are: Control, Location, Order Volume & Scalability, Industry Expertise, and Time. When unsure, considering things like how your time is best spent, how to handle sales spikes, and even the best warehouse locations, can be deciding factors in your fulfillment solution. I recently compared the four major cost factors, storage space, labor, packing, and shipping of my own startup’s in-house fulfillment to those of a startup-friendly fulfillment center, ShipBob. In short, if I had it to do over again today, I would save money and time going with a fulfillment center. But don’t take my word for it. Here’s a quick look at the data, which we’ll discuss in greater detail below. Now, that’s quite a difference when you figure that’s a savings of $3,792 per year. But savings isn’t the only part of the equation. Remember, I spent 20 hours each week packing packages and managing stock. That kind of time could be far better spent focused on marketing and building the business. That said, outsourcing fulfillment is a working partnership and it requires attention and management each week, too. Now that we’ve taken a peek at my real-life comparison, let’s look at how I came up with my numbers so you can estimate your own in-house fulfillment costs. That’s the first step to deciding whether in-house or or a fulfillment center is right for you. 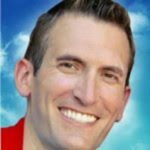 Want to learn even more about handling fulfillment in-house? Check out our article here. Now let’s explore all of the costs that make up your fulfillment cost-per-order. To estimate your in house fulfillment costs, simply add up your total stock storage, packing materials, labor, and shipping costs for the month, then divide that by the number of orders you shipped that month. That number is your fulfillment cost-per-order. Determining your fulfillment cost-per-order can be a guessing game if you haven’t stocked goods and shipped orders before. To guide you through the process, we’ll look at my startup choices, their monthly costs, and my final fulfillment cost-per-order. We’ll discuss each element in detail below. Now we’ll explore each factor to show you how to estimate your own costs based on your specific business needs. This cost can vary greatly, depending on your location and your business’s storage and operating needs. For example, my first self-managed fulfillment “warehouse” was a 15’ x 20’ storage unit, or 300 square feet. It was close to my home and there I spent a few hours each day, rain or shine, packing orders for my fledgling startup. It cost me $150/mo., including electricity, and housed two rows of shelves filled with stock for about 100 items at first, plus a small packing table. Ultimately, I squeezed stock for more than 200 items into that space before I had to expand. Call a few nearby storage centers or small warehouse business parks and compare rates. Be sure to ask about features like security cameras, on-site management, and maintenance services they offer. And keep in mind that along with monthly rent, you’ll need to figure utilities, insurance, and taxes into your cost, especially in a larger office/warehouse type unit. If you plan to ship from an existing facility or retail store, use your monthly facility expenses (rent, insurance, taxes, utilities, etc.). Or, use a portion of those expenses if only part of the facility will be used for fulfillment needs. Next up, let’s take a look at what your time is worth. You’ll likely do much, if not all, of it yourself as a startup handling fulfillment in-house. So you must put a dollar value to your time, even if you don’t actually take money from the business yet. This is the only way to make a fair cost comparison between in-house and outsourced fulfillment costs. There are two ways to approach your labor costs when comparing in-house fulfillment and a fulfillment center. This is the hourly value of your time if you were an employee pulling a paycheck rather than starting a business. Note! For fulfillment cost comparisons, you’ll only factor in the time spent on fulfillment-related tasks. Marketing, building your website, and working with suppliers all are things you will do even if you use a fulfillment center. This is the lowest rate you would expect to pay an employee to do this for you at this stage. As a shoestring startup, you’re probably looking at a part-time helper. If so, I tend to ballpark $13/hr., which covers minimum wage plus payroll costs here in Texas. That may be higher in your state. Is a fulfillment center looking better and better? Seriously, it’s work, but at eight to ten orders per day, it’s not overwhelming. Of course, that depends on what you ship and the size of your orders and goods. I shipped plastic tableware, place mats, and a few other kitchen goods. It was pretty foolproof and the box sizes were very manageable. Iron mailboxes or futons present a very different fulfillment story, which is why I didn’t sell them! And that brings us to our next cost consideration, packing materials. This is a cost that varies greatly depending on what you ship. If you ship small, lightweight goods that don’t break, packaging costs can be quite inexpensive. However, if you require specialty packaging to protect fragile goods in transit, or are launching a branded program with custom boxes, packaging can get quite spendy. Here, an experienced fulfillment center can really help you out cost-wise. We have an informative article that covers all sorts of custom box and packaging options here, so I’m not going to delve into the full array of packaging choices in this guide. Instead, for our cost-comparison purposes, we’ll stick with my bare-bones startup approach. I used four to five different box sizes, which I bought in discounted quantities from Uline. For fill, I used inexpensive blank newsprint. It wasn’t fancy, but it got the job done. I spent about $300/mo. on packaging with Uline at this stage. For lightweight items, I used free USPS Priority Mail boxes, which you can order online at USPS.com. With these, you must ship using Priority Mail. Since Priority Mail is really cheap for packages under two pounds, this worked just fine for me plus saved me the cost of a box. Next, we’ll take a look at perhaps your largest fulfillment cost factor of them all, shipping charges. Shipping is one of the biggest costs any ecommerce business faces. Depending on what you sell, how you ship, and where you ship from, these costs can be easy to forecast or somewhat difficult to predict. But you must start out with some idea of your overall shipping costs, and not just your outbound shipping costs. You need to include the cost of getting your product into your fulfillment location, too. Believe me, a budgeting mistake here can put a real kink in your cash flow. Or worse, sink your fledgling operation. We’ll look at ways to estimate both outbound and inbound shipping costs below. If all of your orders ship in a set box size and weight, like a monthly subscription box or prepackaged product, you already know factors 1 & 2. In this case, you can easily estimate your shipping costs to different destinations, factor 3, using the shipping estimate tools on the UPS, FedEx, and USPS websites. There, you can even figure out costs for factor 4, different delivery services, if you offer delivery choices to your customers. Learn more about shipping with UPS, FedEx, and USPS here. However, if you sell a variety of items, your box sizes and weights, factors 1 & 2, will vary with each order. These shipping costs can be harder to predict, but you can make some educated guesses by sampling a range of box weights and measurements. Then use shipping estimate tools on the UPS, FedEx, and USPS websites to estimate a range of costs and find an average. In my operation, shipping charges averaged $8 per shipment, and at the startup stage I shipped about 240 orders per month. So, shipping cost me around $1,920/mo. Some sellers incorporate inbound stock shipping costs into their total cost-of-good numbers, which is what I did. This means if an item cost me $2, and another 15¢, on average, to bring it in from my supplier, I set that cost-of-good at $2.15. This is a simple way to include inbound shipping in your product costs, but it can be inexact if your supplier’s shipping rates vary. For 16 years, this method worked well for me, and more importantly, for my accountant. There are different ways to account for the cost of getting your goods to your warehouse. You can learn more about cost-of-goods accounting here. Once you have your fulfillment cost estimate, run it against your average sales and gross profits like we did above. This will show you if your model is profitable. Next, let’s see how to find out if a fulfillment center will save any money in our real-life scenario. We already know it will save time — about 20 hours per week in my example. Is this fulfillment center a good fit for your business? Most fulfillment companies specialize in certain types of businesses. So, certain providers are better choices than others depending on your needs. What are the cost savings or other benefits if you outsource fulfillment? Sometimes, outsourcing saves you money right from the start. Other times it might be more expensive than doing it in-house, but other benefits make it worthwhile. For our comparison, we’ll use our recommended small business and startup fulfillment partner ShipBob. They specialize in small businesses and startups selling anywhere from 1 to 200 unique items. That answers #1, a good fit for our real-life example with 100 stocked items. Plus, their pricing is very straightforward, which is another good fit, since you won’t have hidden surprises or budget-busting fees on your bill. We’ll cover some facets of ShipBob’s pricing and services here, but you can learn more and see how they compare to other top providers in our article here. Some fulfillment centers get pretty nit-picky, with account setup, per-item pick fees, and per-box fees, but not ShipBob. I like them a lot for this reason. To get a cost quote, I contacted ShipBob and gave them the details from the example we covered above. Note! It costs you nothing to talk to potential fulfillment centers and get quotes. Don’t be afraid to do some exploring on your own. That’s a savings of $1.32 per package, or a total annual savings of $3,792. That’s a respectable figure. Based on this, using a fulfillment center for our real-life scenario not only frees up time that’s otherwise spent packing and shipping, it also saves money. This makes it a viable option. 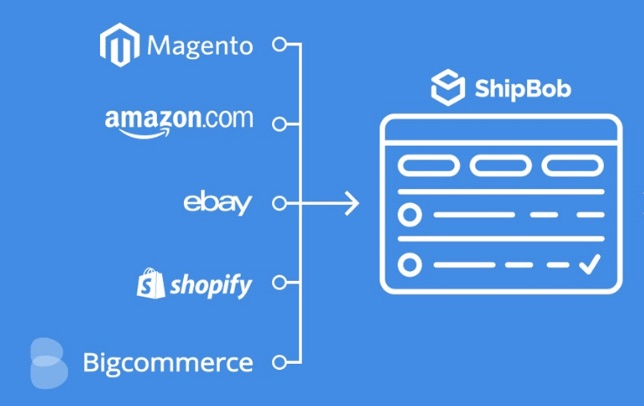 Provided you’re using an ecommerce solution that readily integrates with their system like those listed below, your startup fees are $0 with ShipBob. Plus they’re quite fast with new account setup. Onboarding typically is completed within a week. Many fulfillment centers operate multiple shipping facilities in locations nationwide. This way, they can ship orders from the storage location nearest to the package destination. This provides fast shipping to your customers, plus lowers your shipping costs due to shorter transits. Some specialty fulfillment centers ship from just one warehouse, but even these are centrally located to minimize transit times and costs to all corners of the country. This benefit is particularly useful if you aren’t centrally located. If you plan to shop orders from Miami or Seattle, for example, packages heading to customers on the opposite coasts with take a week or more to arrive, and be quite costly. Because of their immense shipping volume, fulfillment centers receive deep rate discounts from all carriers, UPS, FedEx, USPS, DHL, and many freight carriers. They also are able to take advantage of faster, less-expensive consolidated methods that aren’t available to low-volume shippers. Most fulfillment centers pass these savings on to customers, as seen in the lower overall cost estimate compared to our in-house costs. The same applies to packing boxes, fill materials, and even custom shipping kits. Fulfillment centers order in massive volumes, and therefore receive far better prices than small operators. Again, this savings is passed on to customers. Fulfillment centers know their business. Many are ready, and quite able, to provide assistance, consultation, and advice across all facets of ecommerce, not just fulfillment matters. They realize that your success is their success and, in most cases, position themselves as your partner more so than a vendor. Another plus, the pros that operate fulfillment centers take data very seriously. They rely on precise reporting, planning, and forecasting tools to maximize efficiency and minimize costs throughout their operation. All of that knowledge directly benefits your slice of their output, too. So we’ve run a cost comparison based on a real-life fulfillment scenario and explored other benefits beyond cost savings. If, after running your own estimates, you find it tough to decide one way or the other, there more things to consider that might tip the scales. Let’s look at those now. Sometimes the cost-to-benefit comparison can leave you straddling the fence. When that happens, here are five questions to ask yourself. Some of these simply apply factors discussed above directly to your situation. But a few are new things to think about, and might be the deciding factor for you. Orders are your only physical touchpoint with your ecommerce customers. Are you willing to leave that to an outside company? If you hand-make goods and every step requires a personal touch, in-house fulfillment is likely right for you. Otherwise, if the costs are right, and your products are basically box-and-send, consider going with the experts at a fulfillment center. Are you planning to ship 15-pound orders from Seattle, Miami, Providence, or Bakersfield? If so, be ready to spend a lot on shipping. If you live in a corner of the country, a fulfillment center with strategic locations will get your goods into customers’ hands much faster. Plus, they’ll very likely save you money overall through reduced shipping. If you’re quite small, with just a few orders trickling in each week, in-house is really your best fulfillment option. 200 orders per month is ShipBob’s average new account minimum, and others require even higher volume to sign-on. 200 orders per month is about 6 to 7 orders per day. In most cases, this volume is doable in-house. But if that jumps to 20 to 30 per day (and we hope it does! ), that’s another matter entirely. A fulfillment center can easily adapt to fast growth and seasonal spikes. Can your in-house solution? Fast expansion, and equally fast contraction, is something fulfillment centers are adept at handling for you, and without pesky warehouse lease commitments, too. How much do you really know about this entire process? If your answer is not much, a fulfillment partner can lead you through the process and prevent mistakes that many startups and small sellers make. Remember, your success is your fulfillment center’s success, so they readily put their ecommerce and shipping know-how to work for you. That said, if you don’t meet orders minimums yet, or if you choose in-house for other reasons, relish the experience! The only way to truly gain an understand of the process, its costs, and potential savings areas, is by doing it hands-on. Pus, you’ll be better prepared to ask the right questions and watch costs with an educated eye if, later on, you shift to a fulfillment center. If you go this route, you can learn all about setting up your own in-house fulfillment solution in our article here. Is your time better spent packing orders or marketing and building your brand? If your other answers don’t tip the scales, this one may. From experience, I can tell you that marketing and brand building, like fulfillment, is a daily task. But in ecommerce, one definitely drives the other, and that’s marketing your company. Without that, there are no sales, and no orders to pack and ship. Does that help in your decision? The heart of any ecommerce business is getting products into the hands of its customers. Plain and simple. You can have a fancy website with every bell and whistle. You can even have products that people can’t resist buying. All of that is great. But if you can’t get orders out the door in a timely and cost-effective manner, you won’t have a business for long. How you choose to handle fulfillment, in-house or using a fulfillment center, depends on many factors. Cost comparisons, time considerations, your location, volume and scalability, and your willingness to hand it over to an outsider all come into play. For some business owners, outsourcing is the right decision from day one. For others, in-house may always be the preferred method. But the savvy business owner should always be aware of the options. Growth can take many forms, and sometimes an outside partner is just what you need for short-term programs, market expansion, or long-term solutions. Don’t forget to check out ShipBob if you’re ready to outsource to a fulfillment center. Click here to check it out. Thanks for the mentions Krista! I am happy to answer any further questions anyone might have but you really tackled a lot of the questions that our customers generally have! You bet! And thank you for your input, too. I’m amazed at how far fulfillment centers like yours have come in the past decade. The technology, reliability and ship times are just terrific.